Hey everyone! So it’s been a few days since we got back from our annual end of the summer family getaway. 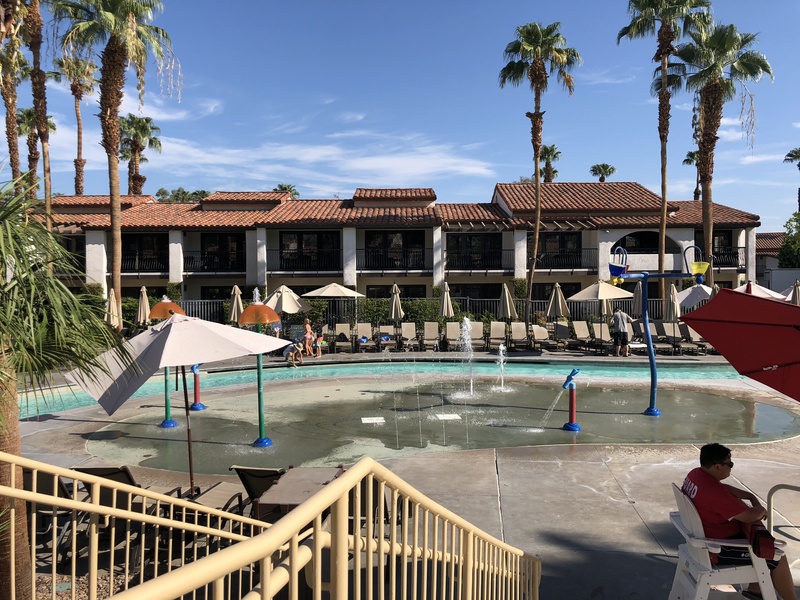 This year we closed our summer by staying at the Omni Ranchero Las Palmas Resort & Spa in Rancho Mirage, CA. 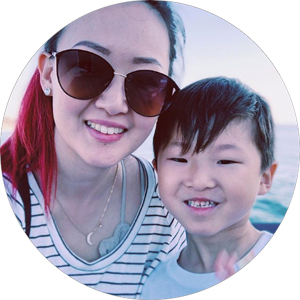 I found this place to be a hidden gem for young families like us so I wanted to take a moment to share our experience with you guys as well as some tips and info we picked up. 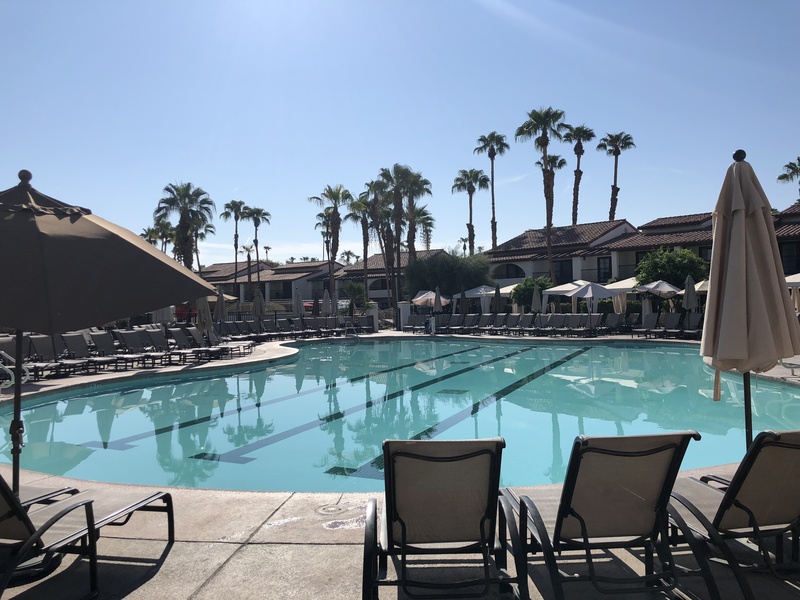 Right now (End of August) is considered to be off season for the Coachella Valley so we were able to book rooms for a lot cheaper than usual. Our stay cost us about $180 a night plus resort fees (as opposed to $350/night). My oldest didn’t start school until today so the timing was perfect for us. Here’s a short clip of our room. We didn’t opt for something super close to the pool for budget reasons but the 3 minute walk wasn’t unbearable. (Even in 106 degree weather with 3 kids). They have a separate adult pool so you don’t have to worry about you’re kids splashing to much or being ‘too loud’. Your child CAN wear their own floatie even in the lazy river BUT they must hold on to a tube or be holding on to someone in a tube. You must be 42″ or taller to go on a water slide. 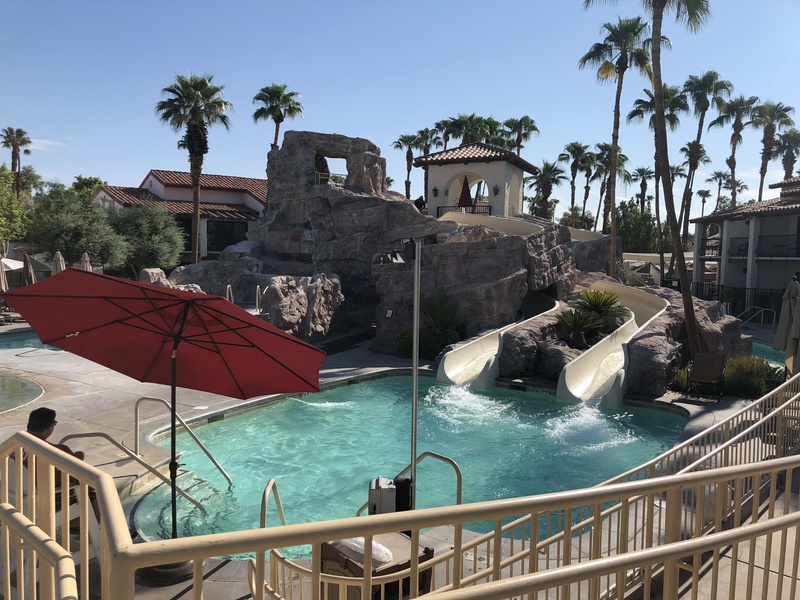 Under 42″ must be with an adult in the lazy river. Lazy pool area closes at 9pm, family pool closes at 10pm. There were literally giant holes dug up by the kids here just the day before. This is the next morning after. Love how they keep everything well cleaned and maintained. 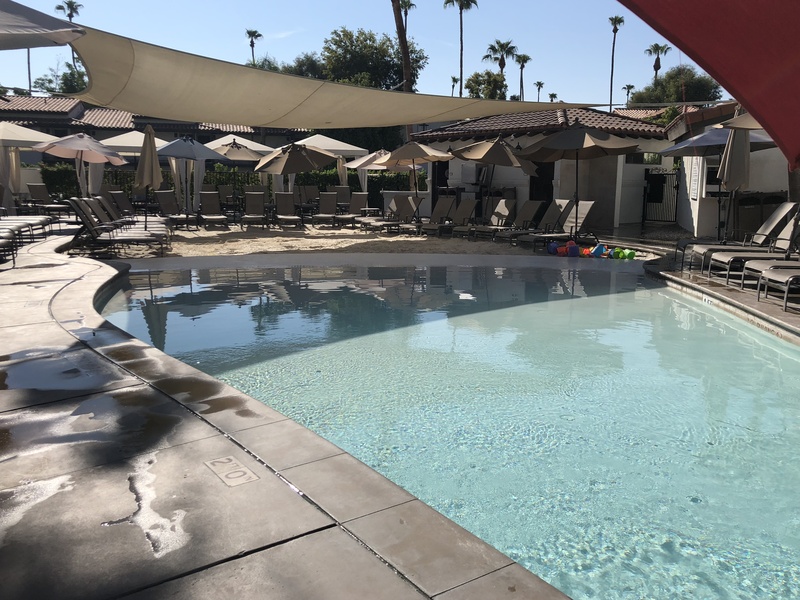 I ran into the pool area at 9:01am (pool opens at 9am) just to get clean photos for you guys! Hope they come in handy. Yes, babies in swim diapers are allowed in the family pools. 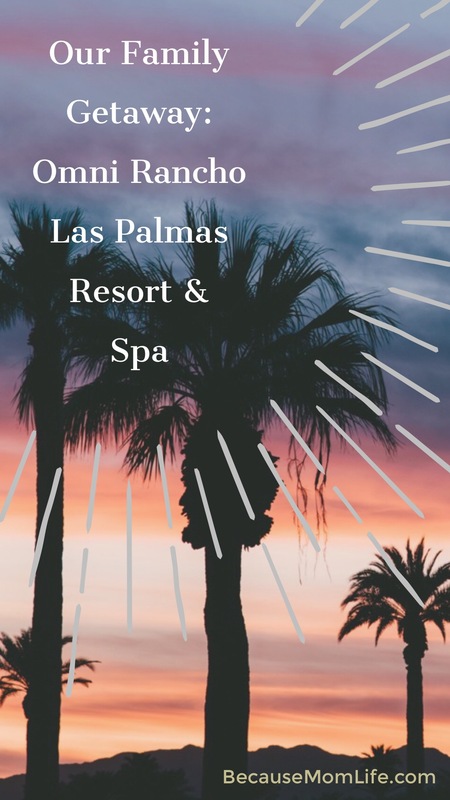 Omni Ranchero Las Palmas Resort & Spa offers a schedule of events like Morning walks, Mermaid University, Poolside games, Ceramic Woodcraft painting, Omni Murder Mystery, Dive-In Movie, and Designer S’mores. 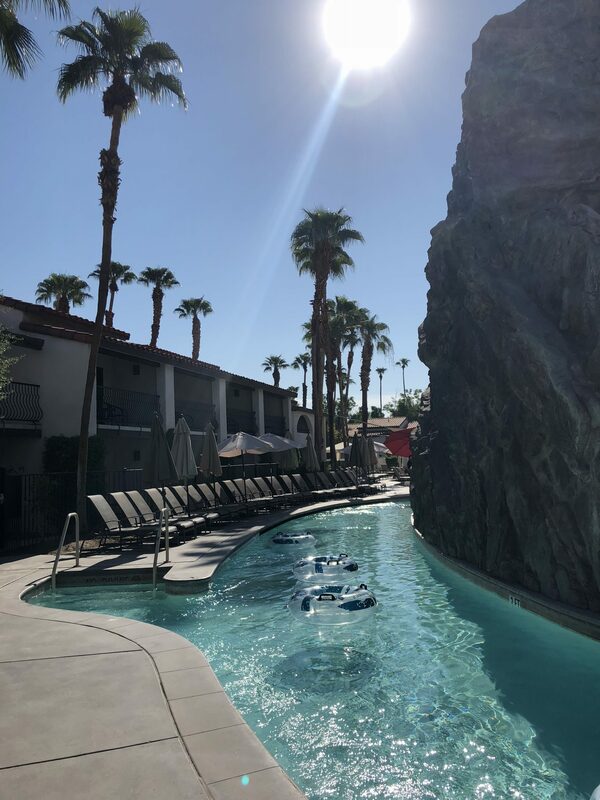 Lounging by the lazy river? 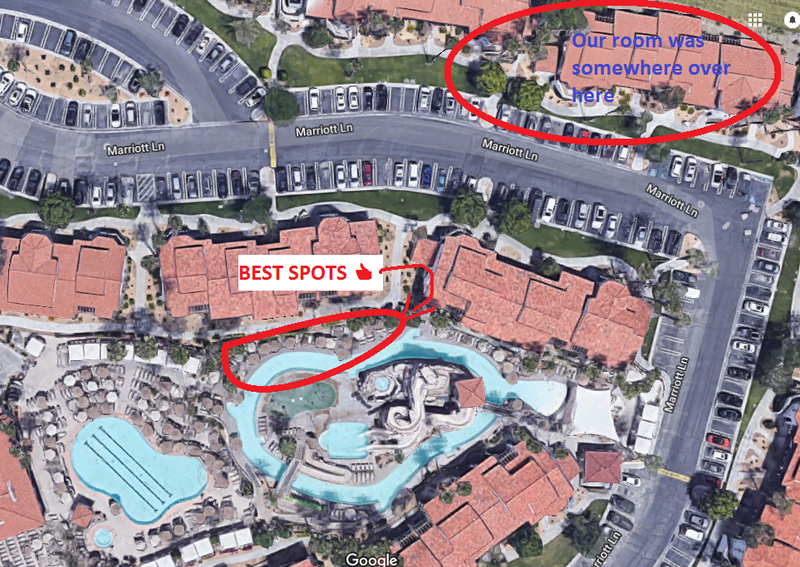 Try these spots. 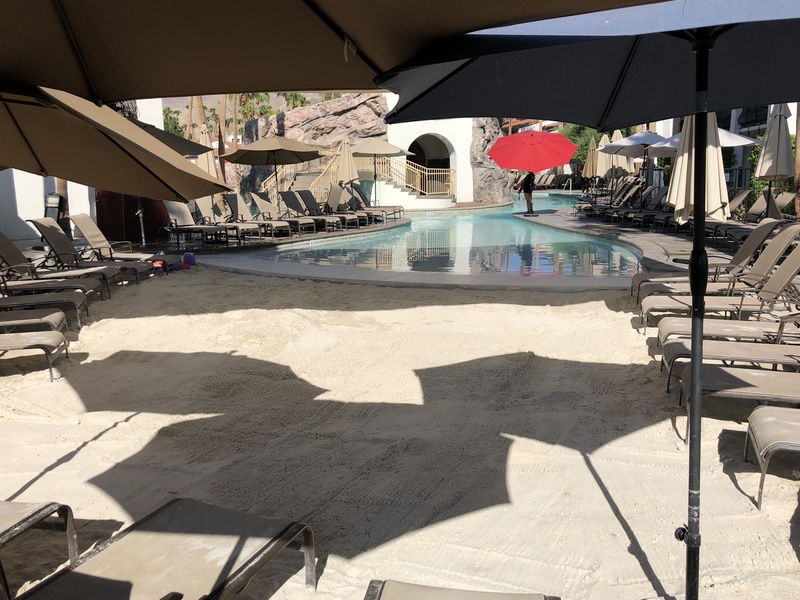 Here’s why: Although all seats are covered by over-sized umbrellas, these spots are closest to the mist fence, offer the widest range of view and the waiters/waitresses walk by here a lot. When I walked in at 9:15am (opening time is 9) these spots were the first to be taken. Thank You Omni Hotels! 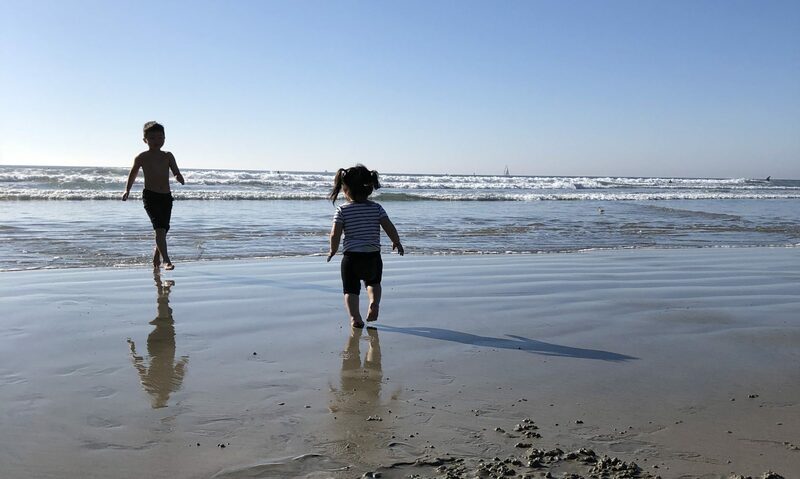 We loved our stay and the kids can’t wait to go back. 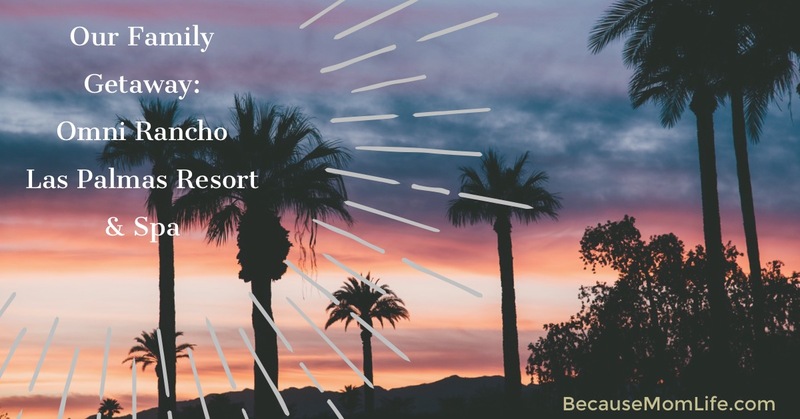 This was only our first trip to Omni Ranchero Las Palmas Resort & Spa. I would say it’s a beginning to an annual tradition for our family. Have you visited before? Did you guys enjoy your stay?